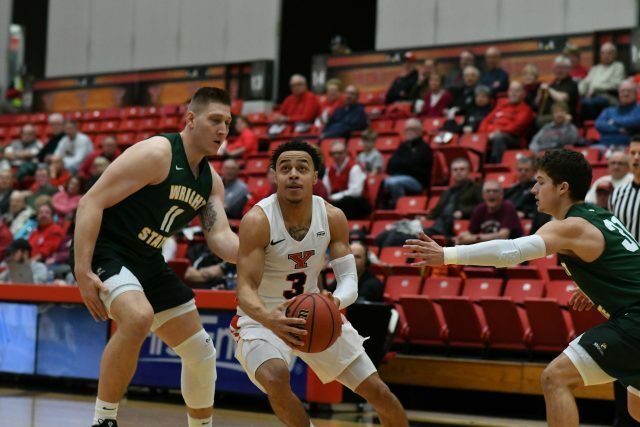 One full month into 2019 and halfway through a long basketball season, there have been two sides to the story for the Youngstown State University men’s and women’s teams. Let’s take a look back at how they got here. Ladies first. The lady Penguins hold a record of 15-5, and are in the midst of a 25-day stretch and five-game homestand. YSU’s currently on a three-game winning streak after defeating the Cleveland State Vikings 73-55. 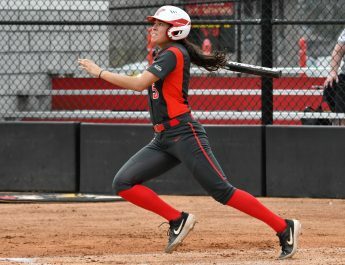 The Penguins are 7-2 in the Horizon League, one of the biggest factors in making the Horizon League Tournament at the end of the season, in hopes to compete for a league championship. Halfway through the season, it’s something coach John Barnes is glad to see, but not satisfied with. “[I’m] pretty happy with 7-2. There’s always games you’d like to have back or things you’d like to do differently, but I think we did a good job of protecting our home court and getting as many wins as we could,” Barnes said. Protecting home court is huge in the Horizon League and generally where the top teams earn their spots. YSU is an incredible 11-1 at Beeghly Center this season, and they haven’t lost there since Nov. 23 against Yale, 58-56. The Penguins got off to a hot start when the season began in November, going 4-0 to tip off the season and winning seven of their first 10 games. Throughout the course of the season, the leaders and key players have filled their roles. Sophomore guard Chelsea Olson paces the Penguins offense with four assists per game, while senior Sarah Cash gives the team almost 14 points a night and 38 percent shooting from behind the 3-point line. Winning also makes individual accolades that much better, and the women’s team has had quite a few. On top of having the seventh-highest GPA among Division I in the NCAA, records have been broken and players have been recognized. On Jan. 5 against Indiana University – Purdue University Indianapolis, senior guard Alison Smolinski broke the all-time YSU 3-point record in the 70-52 win, which was also coach Barnes’ 250th career victory. Junior guard Mary Dunn has now earned the Nike Horizon League Player of the Week honor for the second time this season after averaging nearly 23 points per game and two and a half blocks. Dunn said the honor is great, but it’s even better because it shines light on the team. For more on Dunn’s impact this season, read Jambar sports editor Brian Yauger’s feature this week. Barnes gave his squad a B+ for an overall grade, but said it can be even better if the team learns from the mistakes they made in the first half of the season. The women’s team continues their homestand Thursday against Oakland University with tip-off at 7 p.m. and takes on the University of Detroit Mercy on Saturday at 1 p.m. It hasn’t been as smooth of a ride for the Penguins on the men’s side halfway through the season. The Penguins sit with a record of 6-16 and just 2-7 in the Horizon League. The theme of the season has been the inability to put a full game together, which in turn has led to close losses and frustrating finishes. The Penguins began the season 3-7 in its first 10 games, struggling out of the gate with their new and younger-looking roster. The starting five for second-year coach Jerrod Calhoun consists of three freshman and two sophomores, with inexperience contributing to a rough season. The Penguins have lost four of their last five games and are currently on a three-game losing streak following a 72-62 loss on the road to Cleveland State. With nine games remaining on the schedule, the mindset is to win out and hopefully get a chance to play in the Horizon League tournament, according to starting sophomore forward Naz Bohannon. The schedule doesn’t get easier for the Penguins as the next two games are against teams seeded five or higher in the Horizon League standings. The Penguins play third-ranked Oakland on Thursday, then at fifth-ranked Detroit Mercy before returning home to play eighth-ranked Milwaukee. Youngstown State is currently ranked ninth place in the Horizon League Standings. Calhoun’s confidence is one thing that hasn’t been shaky this season for the Penguins, acknowledging the struggles, but again seeing the potential and opportunity, even after a difficult first half of a long season. The Penguins play at Oakland University Thursday, tipoff is scheduled for 7 p.m.